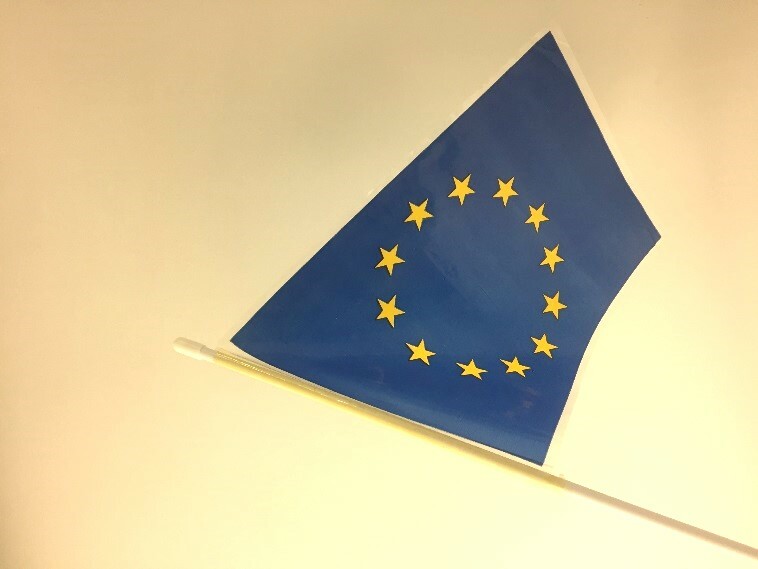 On 23 June 2016, the people of the UK swarmed to polling stations to cast their vote on the future of the UK within the European Union. The turn out to polls was incredibly high with 72.2% of the population voting, perhaps as a result of the ubiquitous ‘Brexit’ media coverage in the months leading up to the referendum. 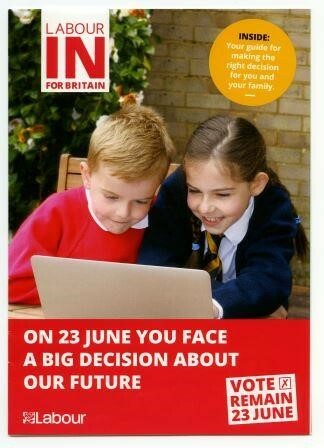 The decision was made with 51.9% of votes, that the UK would leave the EU. The North East region voted in favour of leaving, and had one of the highest proportions of leave votes in the country with a 58% majority. Within this, South Tyneside voted to leave by 62%. As a means of recording this momentous event, I have been helping South Shields Museum & Art Gallery to accession into their collections a selection of ephemera that was distributed in Tyne & Wear in the lead up to the referendum. 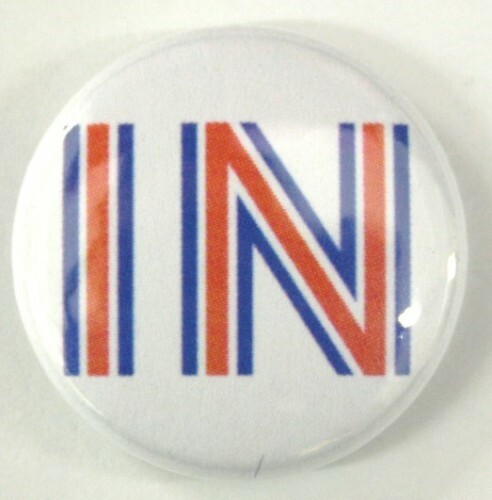 Badges now in the South Shields collection from the ‘Britain Stronger in Europe’ and ‘Vote Leave’ campaigns. 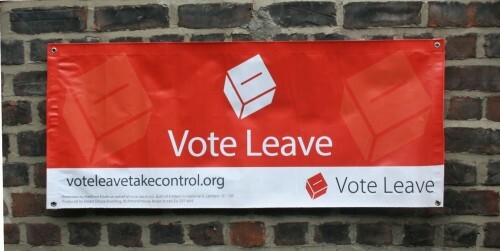 The prevalence of the referendum in South Shields was visible on King Street as this ‘Vote Leave’ banner was found hanging on a wall by the Metro. The banner was found by Adam Bell, History Keeper at South Shields Museum & Art Gallery, who recognised the opportunity to take the banner into the South Shields collection. The items that have been collected also consist of many leaflets that Adam received by campaigners on the street, or in the post at his home address in South Shields. 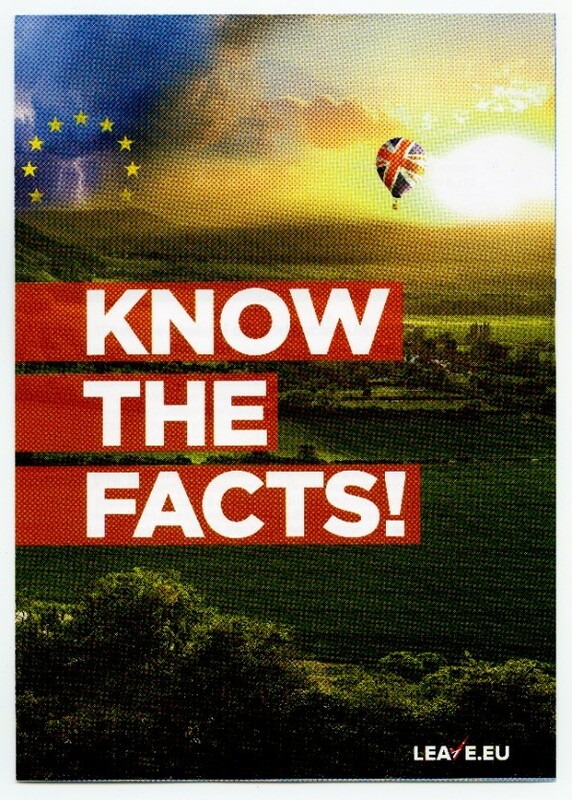 Bell received leaflets from the two official campaigns set up for the referendum, ‘Vote Leave’ and ‘Britain Stronger in Europe’, in addition to leaflets issued by organisations endorsing the leave vote such as UKIP, and organisations endorsing the remain vote such as HM Government and the Labour Party. Away from South Shields, the ‘Vote Leave’ and ‘Britain Stronger in Europe’ campaigns were also present in Newcastle upon Tyne on 16 April 2016, as Boris Johnson visited the city to speak at a ‘Vote Leave’ rally in Times Square, where there were reports of pro-EU hecklers. 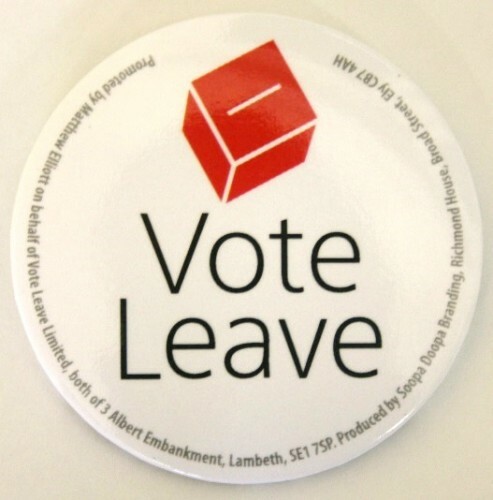 Additionally, around this time campaigners from both sides were spotted near Monument Metro station by Bell, handing out leaflets and the ‘Vote Leave’ badge that you can see pictured above. Having collected a ‘Vote Leave’ badge, South Shields Museum & Art Gallery decided to purchase a ‘Britain Stronger in Europe’ badge to balance out the museum’s collection of ‘Brexit’ ephemera. Unlike the Labour party’s public stance for remaining in the EU, the leading political party proved to be split by the two campaign sides. 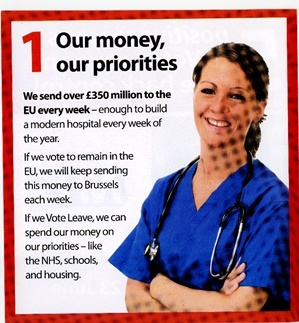 The ‘Britain Stronger in Europe’ campaign was backed by then Prime Minister David Cameron and Chancellor George Osborne, whereas the ‘Vote Leave’ campaign was backed by Conservative MP Boris Johnson, and Secretary of State for Justice Michael Gove. ‘Leave.Eu’ and ‘Britain Stronger in Europe’ campaigns show some of the opposing ‘facts’ that were argued by both sides. 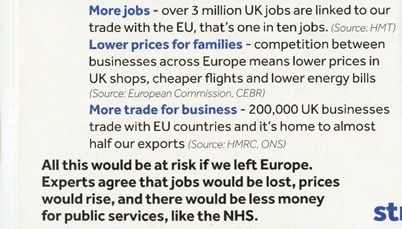 The battle of these opposing facts and figures undoubtedly led to confusion over what would actually happen if the UK did leave the EU. This led to Michael Gove’s controversial quote that Britons have ‘had enough of experts’ becoming renowned for somewhat reflecting a public disenchantment with the onslaught of contradictory ‘facts’ and opinions on the subject. Despite the abundance of ‘facts’ that were presented by both campaign sides about the UK’s fate outside of the EU, as I write this over a year after the referendum, the ‘Brexit’ negotiations are still taking place and the future of the UK outside of the EU remains unsure. Although it is unknown what will happen in the future, taking these contemporary items into the Tyne & Wear Archives & Museums collections will ensure that for generations to come people can reflect upon what happened during this time. Contemporary collecting is therefore significant as it allows the organisation to continue to document the story of the people of the North East into the present day. This ‘Brexit’ campaign ephemera will remain in the Tyne & Wear Archives & Museums collections so that future generations can observe the rhetoric of the political campaigns that led to a majority vote for the UK to leave the European Union. Keeping up with historical events such as this is crucial for museums to stay relevant to their communities and to facilitate learning about North East life for posterity. This narrative tells the story of some of the positive impact the European Union had on its citizens during Britain’s membership. This can sit alongside the new collection of ‘Brexit’ items to provide a bigger picture of the history of Britain’s time in the EU.